The Best of Velocity: What, Where and When Is Risk in System Design? Join us for an exclusive presentation by Johan Bergström from Velocity 2013 conference. 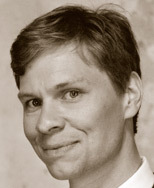 Johan Bergström, Associate Professor at Lund University, Sweden, will introduce the notion of risk in system design. Following up on Richard Cook's highly appreciated talk on safety in complex systems, during last year's velocity conference, Johan will introduce how our risk management strategies are affected by our very perceptions of risk as a concept. Are we running risks or taking risks? Are we successful when we take risks or when we avoid them? Can risk ever be controlled, contained, mitigated or measured? One risk we might have to take (or run?) is that the lecture will raise more questions than it will suggest answers. I'm a researcher and university teacher at Lund University in southern Sweden. I conduct research mainly within the fields of Systems Safety and Cognitive Systems Engineering, but in the spring of 2013 I will begin postdoctoral research on the more grand-scale topic of Societal Resilience. On June 15 2012 I defended my doctoral dissertation entitled: Escalation: Explorative studies of high-risk situations from the theoretical perspectives of complexity and joint cognitive systems. A central aim of the thesis work was to study how an organization adapt to situations that change from normal to non-normal and potentially further on to a state of crisis. The research was conducted in several high-risk domains, such as aviation and shipping, but mainly within health care. The reason is that health care offers a tremendous level of complexity in a rather enclosed space, making it accessible for a PhD candidate to study. Apart from the research and teaching activities at the university I have my own company JB Safety Education and Consulting AB. Under the umbrella of this company I offer a great variety of consultancy services, including accident investigation, the development of team training programs, safety culture assessment and oversight of safety management systems. I am often hired as a lecturer for different audiences. I teach accident theory, complexity theory, team performance, resilience engineering and risk management. I am highly interested in the ethical aspects of safety, including organizational (and societal) responses to failure as well as the governance of risk att all societal levels.